On the road together. 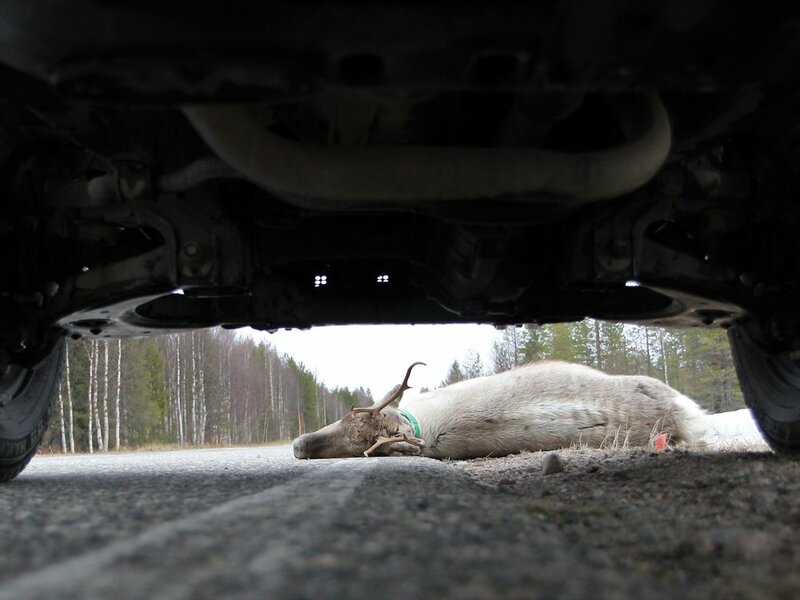 Porokello aims to halve the amount of reindeer crashes on Finnish roads. Free Porokello app alerts of high risk for reindeer crash. You can use the app with a smartphone registered in Finland, or with a GPS with V-Traffic service. Using free Porokello app in your mobile or GPS, you will be notified with a reindeer alert. The alert is valid for half an hour, within 750 meter radius. You will get all the help you need. Read our story and get to know the whole team here. Learn more about reindeers in Finland. Why is it necessary to call 112 emergency number in every reindeer crash? Learn how to act in case of an accident. Read the Porokello app FAQ.